There are several benefits to owning a Porsche Hybrid, such as sky-high fuel economy, fewer gas-related expenses, and the versatility of a gas-electric powertrain. However, all those perks can only be attained if your hybrid system is in prime condition. 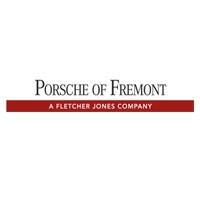 This is where Porsche Fremont comes in! Whether you own a Panamera or Cayenne E-Hybrid, you likely want to protect your investment with the best possible auto service. Fortunately, our service center offers high-tech Porsche Hybrid repair for drivers in Fremont, San Jose, and nearby locations. Catalytic Converter: Filled with a chemical catalyst, such as platinum and palladium, a catalytic converter transforms emissions into safer gasses. Weak engine performance is one of the most obvious signs of a problem with the catalytic converter, as well as a drop in fuel economy. Oxygen Sensors: The oxygen sensor monitors the amount of unburned oxygen in the exhaust, helping your Porsche achieve hybrid-level fuel-efficiency. If your engine misfires or runs roughly during idling, a bad oxygen sensor could be the culprit. Battery Pack: Your Porsche Hybrid’s battery is rechargeable and capable of moving your vehicle from point A to point B, depending on its energy levels. If your hybrid needs a fresh battery pack, chances are the engine will run almost non-stop, while fuel-efficiency declines. Before scheduling a service appointment, it’s important to vet a prospective auto shop for quality and experience; this rings especially true if you’re a hybrid owner. Porsche Hybrid repair not only requires first-hand knowledge of the brand, but also a thorough understanding of hybrid vehicles and how they operate. Porsche Fremont near San Jose has you covered! When you visit us for hybrid maintenance, you’ll be thrilled to discover that our technicians are Porsche Certified, and complete repairs using only OEM fluids and parts. If you suspect a failing battery, a broken catalytic converter, or another problem, we’ll diagnose the issue, and work to keep your Porsche Hybrid in excellent health. Contact us at (510) 279-7060 to book an appointment, or visit us in person at 5740 Cushing Parkway in Fremont, CA – a quick drive from Palo Alto. We look forward to serving you!